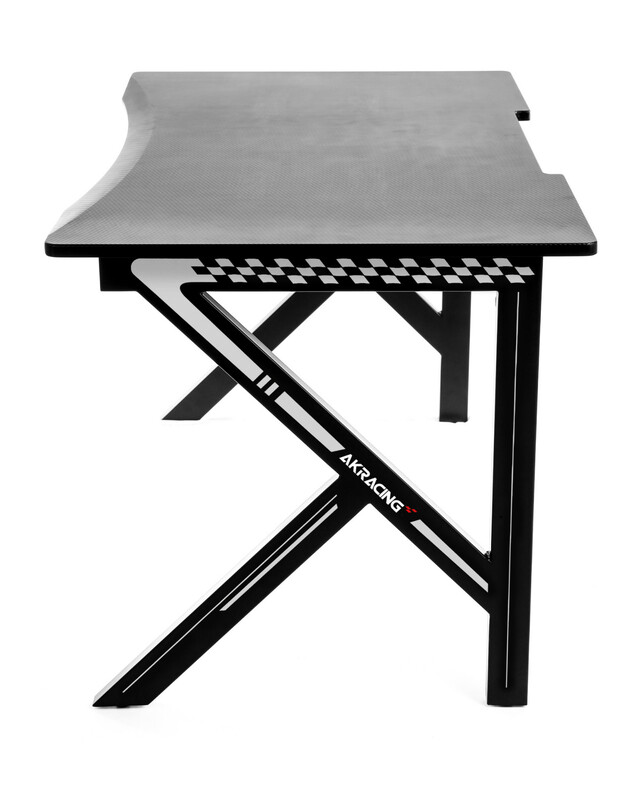 Providing a large, ergonomic surface, the AKRacing gaming desk is perfect for gamers who like to spread out in the heat of battle. 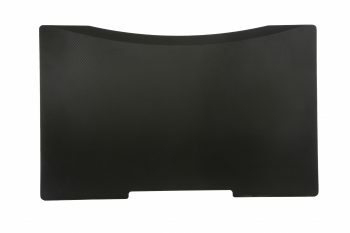 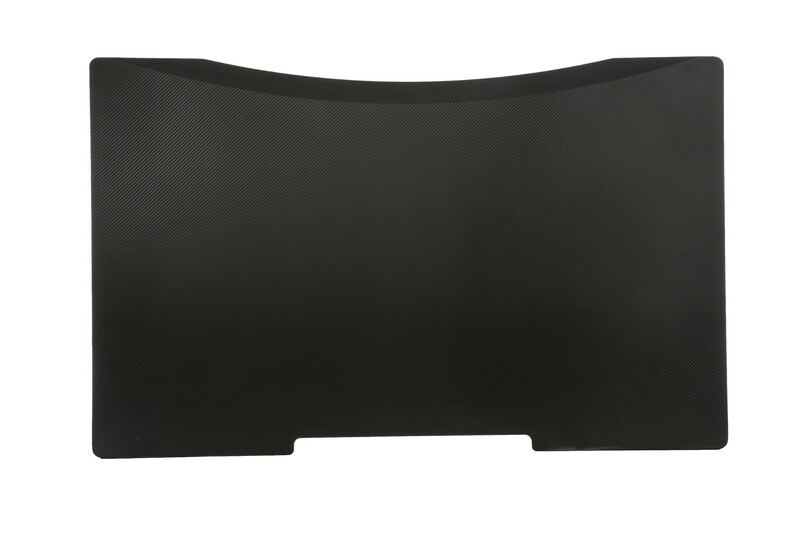 It features a top portion that measures 116cm wide and 73cm deep to support multiple monitors, keyboards, mice, and any other accessories you may have. 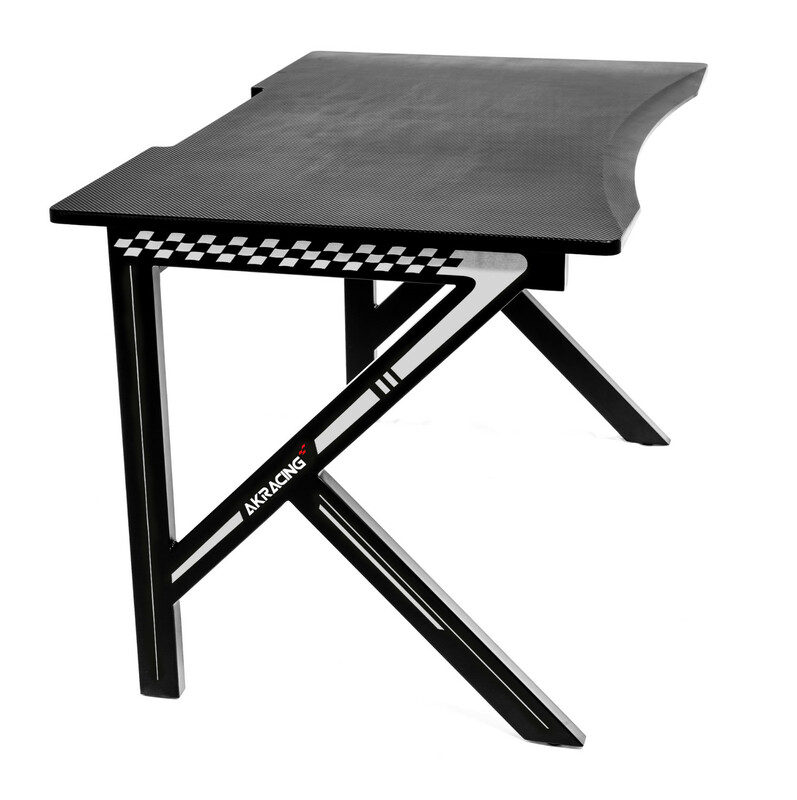 Made with a gauge steel frame and a textured MDF PVC laminated surface, it’s smooth yet stable to keep your gear in place. 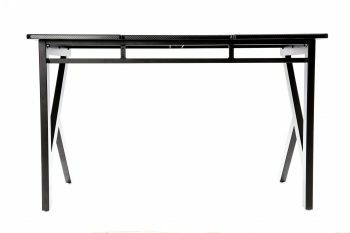 The curved front edge allows you to scoot up closer to the action, while the back of the desk is outfitted for seamless cable management. 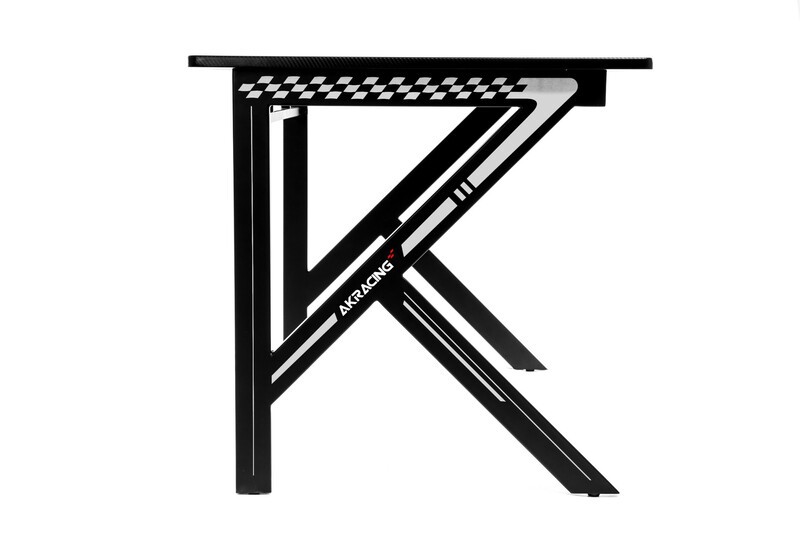 From the side of the desk, you can make out the AKRacing logo. 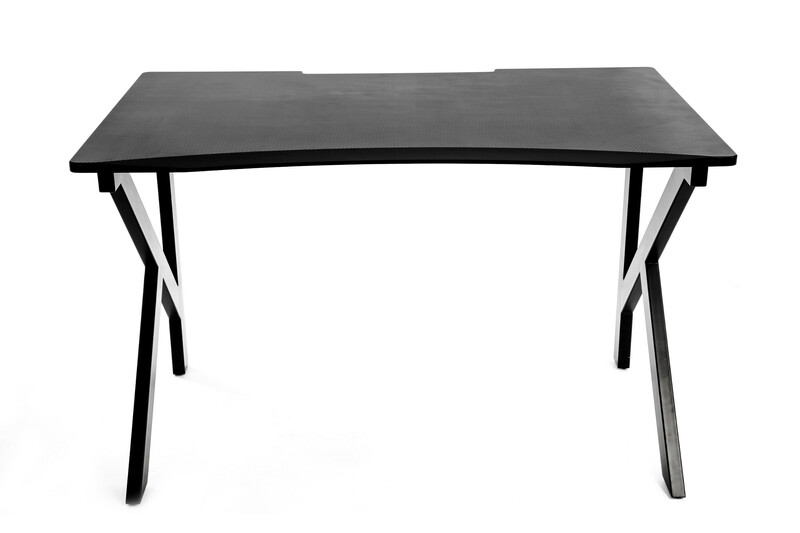 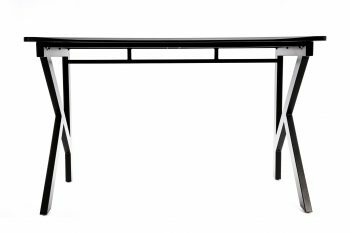 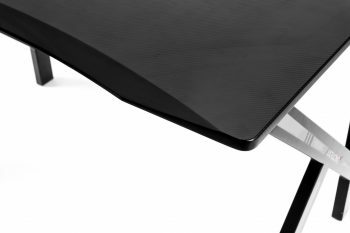 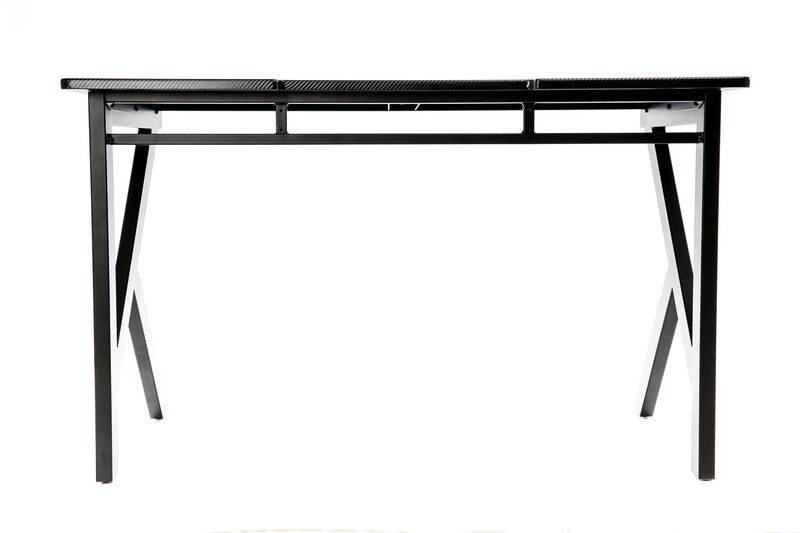 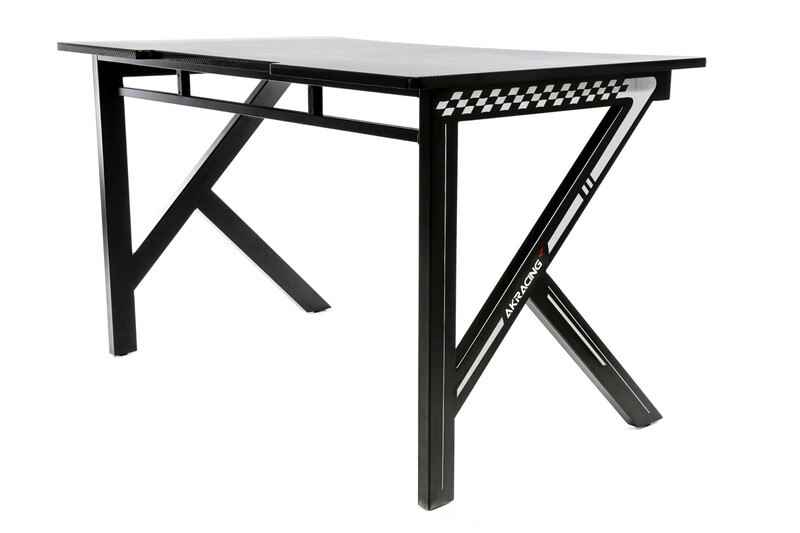 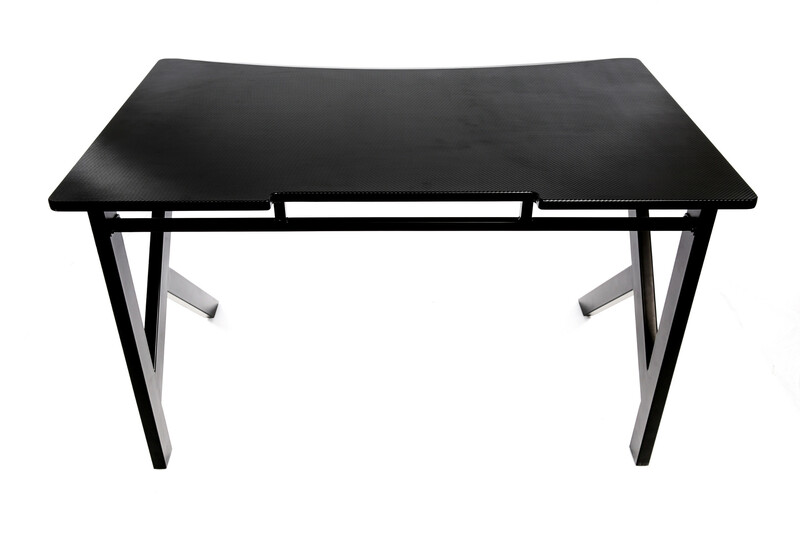 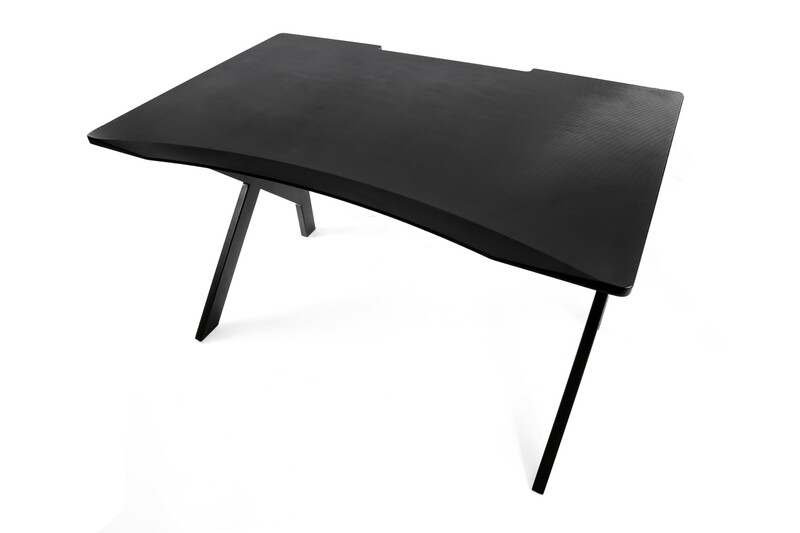 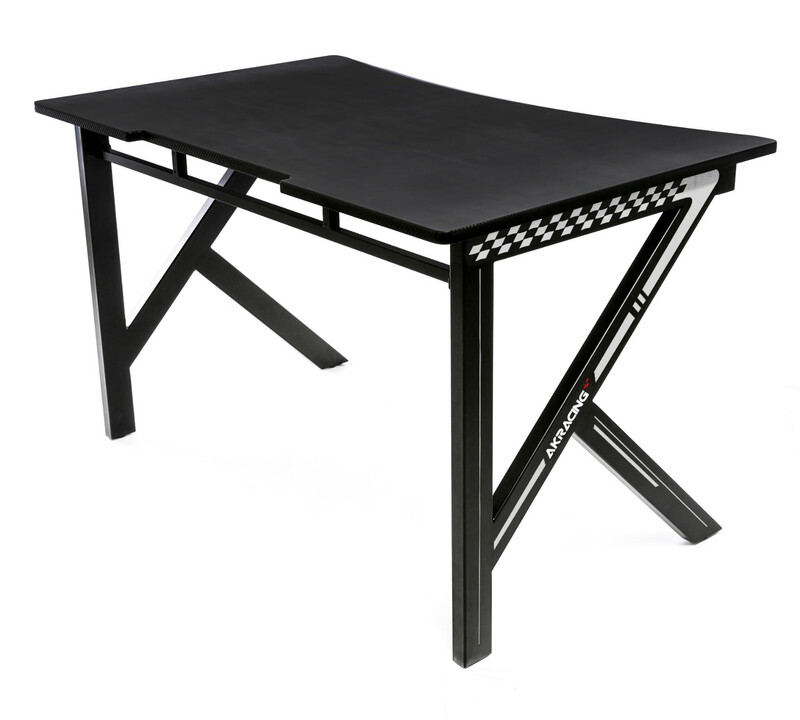 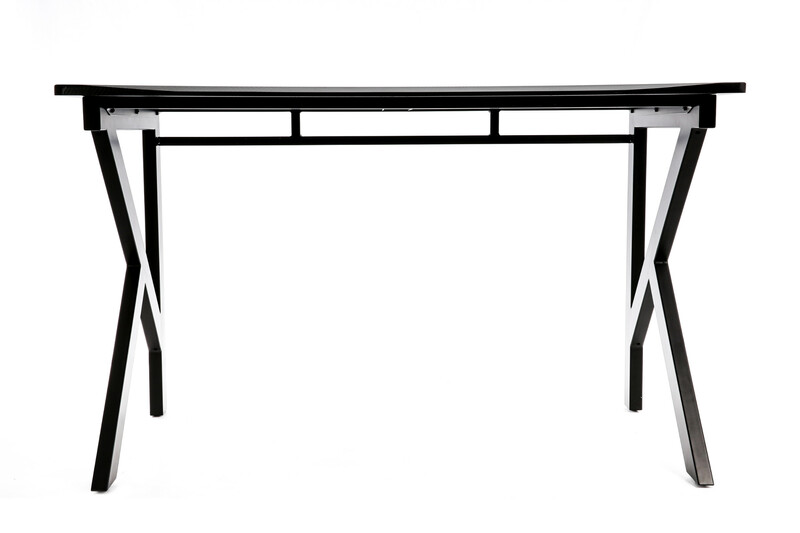 Plus, with its sleek carbon fiber look, the desk will jive in the office or the gaming room. 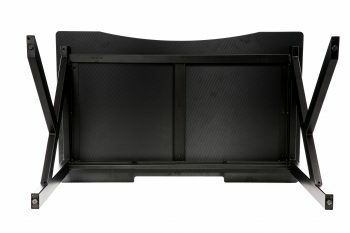 Check with your local reseller about availability! 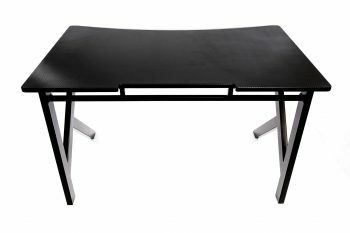 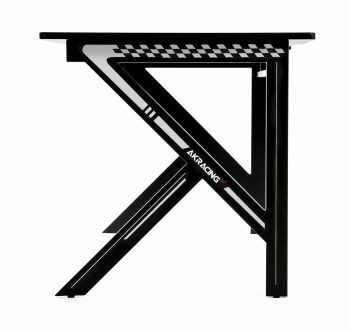 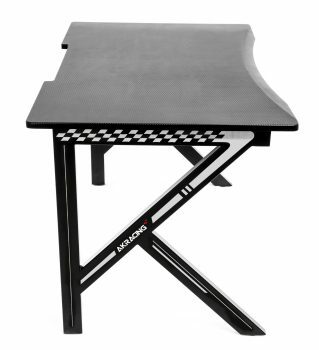 Have you been searching high and low for a brilliant gaming desk to compliment your AKRacing chair? 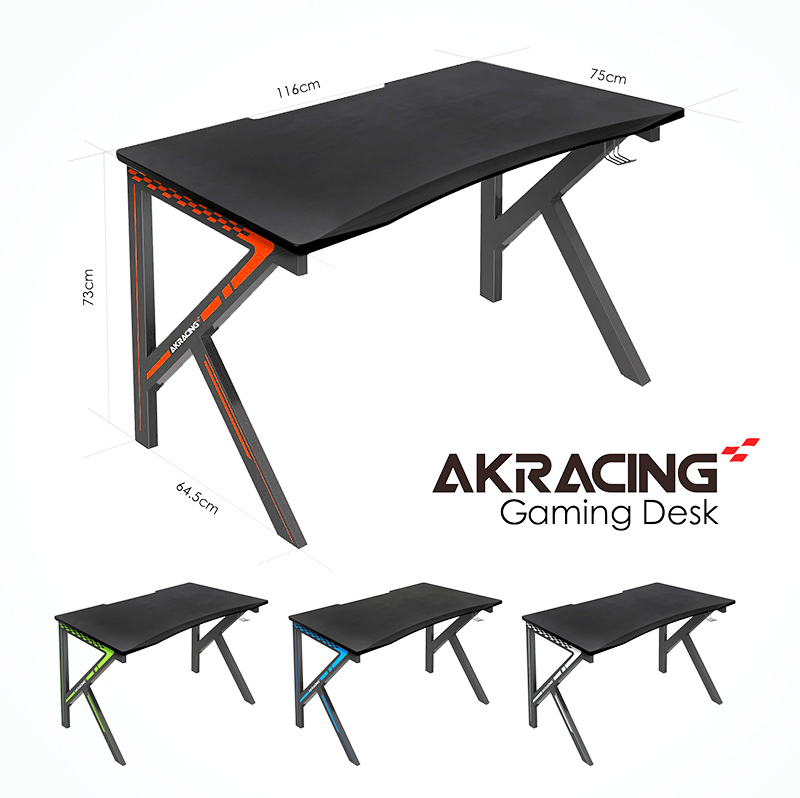 Well look no further… We would like to introduce you to our BRAND NEW AKRacing Gaming Desk, built specifically for gaming requirements. 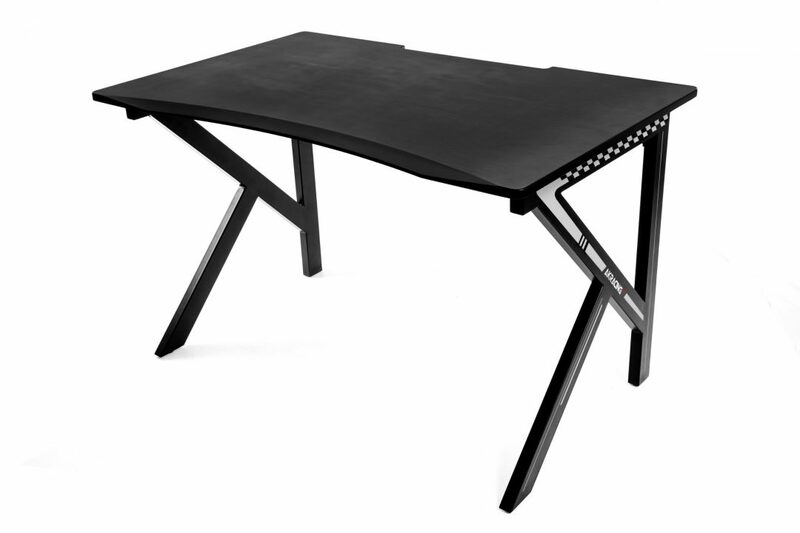 With our desks manufactured to meet the highest quality standards and designed with ergonomics, aesthetics and functionality in mind, these desks will provide you with nothing less than the ultimate gaming experience.